4Lyn is a nu metal/crossover band from Hamburg, Germany. 4Lyn began their career as Headtrip in 1995 as high schoolers. They recorded demos and played locally, and in 2000 a gig at the Ohrenschmaus Festival in Hamburg got them attention from label scouts. "4LYN" is an acronym of sorts; 4 is the number of band members, and LYN stands for "Loud Young Nobodies". They released their debut self-titled record on universal records subsidiary Motor Music in 2001, and toured with Papa Roach, Thumb, Therapy?, Cosmotron and dredg. 4Lyn began their career as Headtrip in 1995 as high schoolers. They recorded demos and played locally, and in 2000 a gig at the Ohrenschmaus Festival in Hamburg got them attention from label scouts. "4LYN" is an acronym of sorts; 4 is the number of band members, and LYN stands for "Loud Young Nobodies". 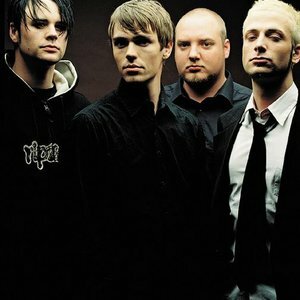 They released their debut self-titled record on universal records subsidiary Motor Music in 2001, and toured with Papa Roach, Thumb, Therapy?, Cosmotron and dredg. They recorded their sophomore effort Neon, then toured throughout central Europe. They left Motor Music to sign with Edel Music for their third release, Take It as a Compliment, issued in 2004. In 2005 they wrote a theme song entitled "Go Sea Devils" for the Hamburg Sea Devils, a football team. 2007 saw the released of their self-produced album, Compadres. Their most recent album, Hello (For You I'm Dying) was released in January 2008. As a gift to loyal fans, the band released a live album, Live in Hamburg, which can only be purchased through the band's official website.